We just got back from the Hot Chicken Festival in Nashville. It was held on the 4th of July in East Nashville. I've always wanted to try all of the hot chicken joints in Nashville, this was a great way to do that! I will be sharing more about the festival this Saturday on the blog. I got home and wanted to make my own version of Nashville Hot Chicken. I took a shortcut and used frozen popcorn chicken instead of frying my own chicken. I baked the chicken and basted it in the hot sauce mixture half way through the cooking and afterwards. This was SO good. It definitely packs a kick. If you are sensitive to heat, make sure you reduce the cayenne pepper in the hot sauce mixture. 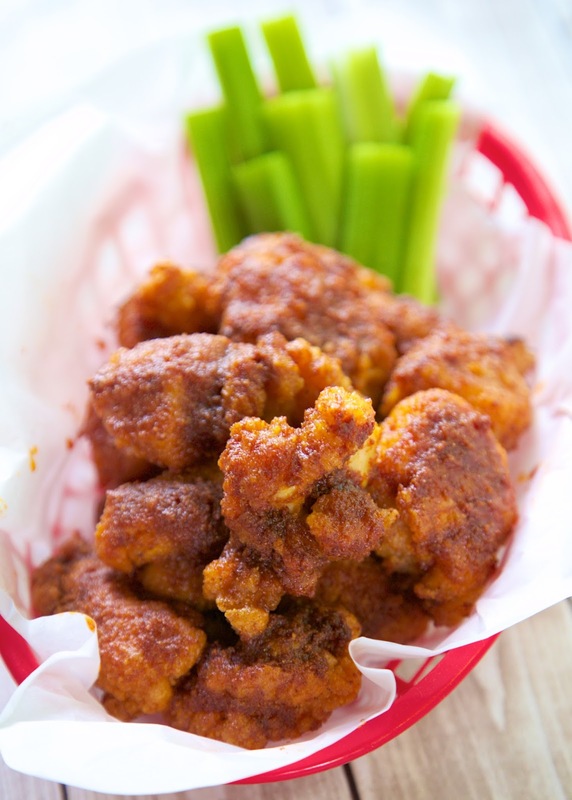 We loved our at home version of Nashville Hot Chicken and are already planning on having it for lunch again this weekend. 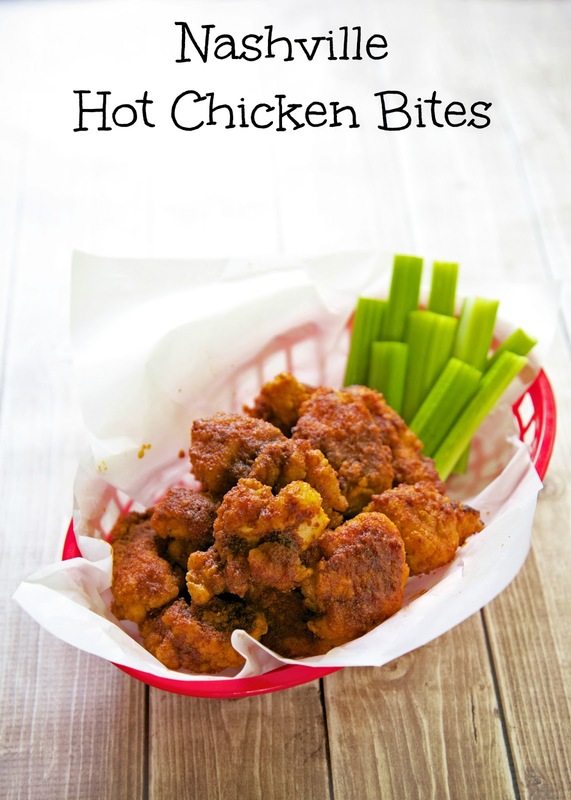 These look yummy--a perfect game day food! Pinned! I go to Nashville 1-2 times a month, can you believe I've never been to Prince's or any of the famed hot chicken places? I need to change that.